Sturm und Durang | Theater | Style Weekly - Richmond, VA local news, arts, and events. Aaron Sutten Debra Wagoner as Sonia, Joe Pabst as Vanya and Susan Sanford as Masha, siblings in this modern-day take on Chekhov. What happens when you place Chekhovian characters in modern-day America? Set at a family estate in Pennsylvania, the play offers a farcical take of sorts on the theater of Anton Chekhov. The play begins with Vanya and Sonia (Joe Pabst and Debra Wagoner) arguing over coffee and whether they should marry. Sonia asserts that they love each other. Vanya protests, not only because he is gay, but also because they’re siblings. Taking a page from Chekhov, the two are members of the idle rich and are concerned about the loss of their home. Before long, their successful movie-star sister Masha (Susan Sanford) swoops in with a hot young actor named Spike (David Pope) in tow. The show’s long expository scene is predictable Durang — essentially throwing a bunch of looney, one-dimensional characters together and seeing what happens. 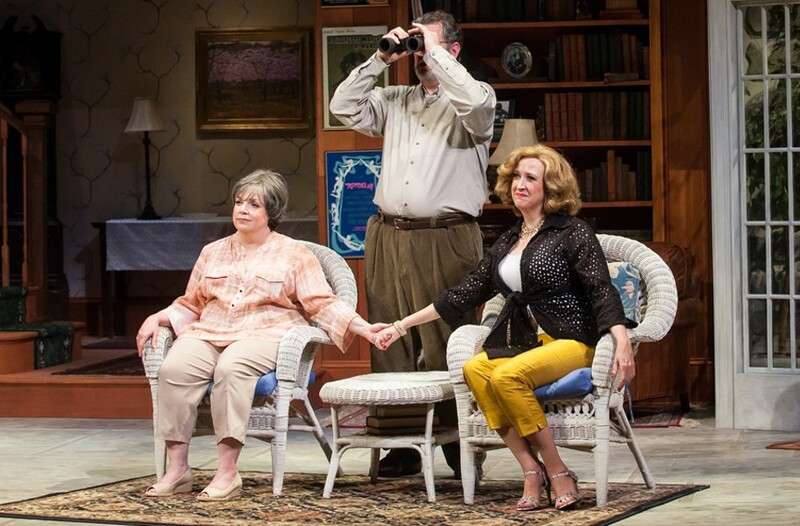 But later in the first act, Durang’s script softens, allowing the audience to relate to his characters. Leaning on Chekhov, he shows them as wounded beings trying to cope with life. But after building up hope that this might be a good play after all, Durang’s second act is a train wreck. The result is a two hour and 40 minute play that doesn’t know what it’s trying to accomplish. As Cassandra, a sassy maid who can tell the future, Ciara McMillian is amusing in her short time on stage, and Liz Earnest is charming as the youthful Nina, who Masha suspects of trying to steal Spike. But these performances can’t make up for an awful script, the worst part of which is a 10-minute monologue delivered by Vanya. Presumably speaking on behalf of Durang, Vanya delivers a hostile tirade about millennials, and how much better things were growing up in the 1950s. The rant focuses on how vain and shallow 20-somethings are, how Twitter is awful and how Lindsay Lohan is a poor substitute for Hayley Mills. Some older white men like Durang love to talk about how great things were back in the day, referencing a time when things were worse off for practically everyone who wasn’t white and male. He seems to forget that people who grew up in the 1950s became adults in the ’60s, a time whose popular culture was much more volatile than today’s. Had Durang directed his invective at any other cultural category — say, a grouping by gender, race, sexual orientation, even senior citizens — the audience likely would storm out in disgust. But 20-somethings apparently are fair game, as evidenced by the middle-aged folks around me who nod in approval. In the hundreds of plays I’ve attended, I can’t recall a time I’ve been angrier while at the theater. Virginia Rep’s “Vanya and Sonia and Masha and Spike” plays through May 17 at the November Theatre, 114 W. Broad St. For information, call 282-2620 or visit va-rep.org.